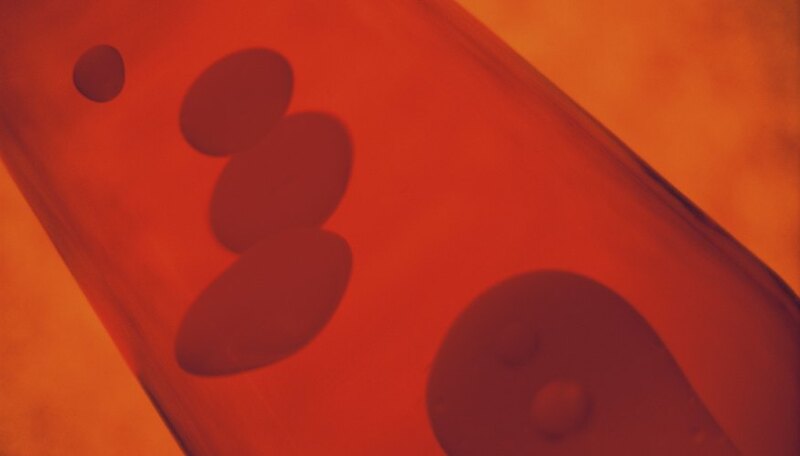 The silicone oil in lava lamps is somewhat fragile. Shaking the lamp or turning it upside down can permanently cloud the water. There are a few things you can try to restore the water's clarity. But remember that opening the lid nullifies the lamp’s warranty. If your lamp arrived new, but cloudy, send it back for a replacement. Turn off the lamp for two hours, turn it on, then turn it off again as soon as the liquid begins clouding. Try six to eight "power-ons." If this doesn’t fix the problem, continue to the next step. Run the lamp for 10 straight hours and hope that sufficient heat will cure the problem. If it persists, go to Step 3. Unplug the lamp and let it cool for two hours. Unscrew the lid and pour out the liquid. (The wax “lava” won’t pour out because it’s cooled into a solid.) You are going to replace the liquid. Pour in cool, distilled water, but not directly onto the fragile wax. Don’t stir or shake. Empty the water and repeat. Fill the bottle again with distilled water, leaving a two-inch air gap at the top. This is important because you’ll be adding saline solution and the warming wax needs room to expand to gain buoyancy. Turn on the lamp with the cap still off. Let it run for an hour. Meanwhile, prepare a saline solution by microwaving a drinking glass of distilled water for 10 or 20 seconds. Dissolve as much Epson salts or pickling salt into the glass as you can. Don't use table salt–its iodization will cloud the water all over again. Dip an inch of a drinking straw into the saline solution, put your finger on the other end to keep the water in the straw, and transfer it into the lamp bottle. Don’t stir or shake the water. Wait 10 minutes before transferring more saline. Repeat every 10 minutes until some wax floats to the top of the bottle. Add a small drop of liquid dishwashing detergent to promote separation of the wax into rising orbs. Add two drops of food coloring to match the wax’s color. Screw the cap back on the bottle and you’re done.